Two Pour Guys Bartending & Catering’s mission is to help create a unique event centered around remarkably good food and drinks. As a family owned & operated business, we pride ourselves on having an established reputation of quality and magnificence. Our main goal will always be to serve you and make each and every moment special. Two Pour Guys Bartending & Catering strives to perfect every little detail in our food and drinks, preparation and presentation. We fulfill your needs with excitement, creativity and elegance. Owners Bob Copell and John Arcangelo have more than 25 years experience in bartending and catering services. Along with our professional staff, we are licensed, TIPS certified and fully insured. 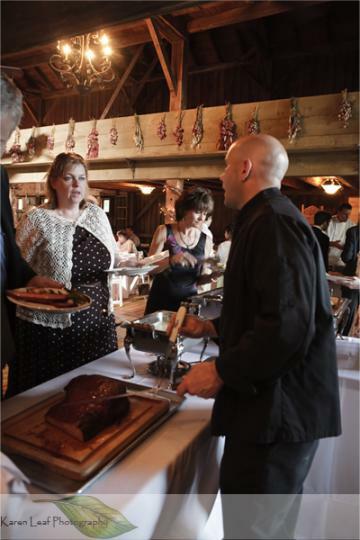 When you hire us for your upcoming wedding, party, corporate event or special occasion, you are part of our family! We will work with you to make your event as unique and special as you are. Why Miss Your Own Party? Hire Two Pour Guys!